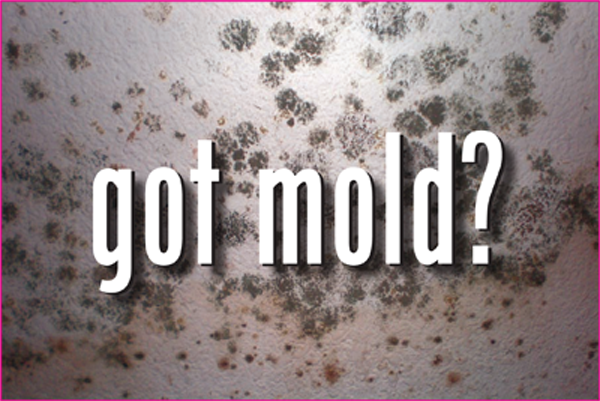 Does Homeownership Insurance Cover Mold? Many homes have at least one unwanted house guest: mold. It generally comes in the benign form of mildew, but every once in a while toxic black mold sets up shop in a basement or behind a wall. Eradicating this health hazard can cost a pretty penny, so your first question might be: Does homeowners insurance cover mold? Well, it all depends on your policy and the conditions that allowed the mold to proliferate in the first place. Standard homeowners insurance policies usually exclude coverage specifically for mold damage and mitigation, says Joe Vahey, vice president and product manager at Erie Insurance. And even if your policy has a clause that covers mold, you definitely won't see any money if the mold growth is caused by negligence. This means failing to inspect and maintain your home to prevent long-term exposure to water and humidity—e.g., never properly fixing that leaky roof. Insurance companies see homeowners who don't actively eliminate mold-friendly environmental conditions as essentially preparing the guest room for mold to settle in. Is Mold in Your Home Putting Your Health at Risk? When does insurance cover mold in homes? If mold growth is the result of a sudden, accidental occurrence like a burst pipe while you're away on vacation you have a good shot at coverage, says Bill Begal, who works in disaster restoration in Maryland. But collecting the insurance on what's known as "covered peril" may take some tenacity on your part. Begal has dealt with the burst pipe scenario and while he prevailed, "it was still a fight with the insurance company." Keep in mind you're arguing for payment due to the damage caused by the burst pipe, not the resulting mold specifically. If your existing insurance policy has an exclusion for mold damage, meaning it’s not covered, see if you can add coverage or a rider, says Stacey A. Giulianti, an insurance attorney and author. Yearly premiums range from $500 to $2,000 (the price rises with the humidity of the state you live in). Those premiums will net you damages between $10,000 to $50,0000, depending on the specific policy. Be sure to ask your broker exactly how much mold protection you can expect. If your insurance company doesn't offer any type of mold coverage, you can opt for a separate mold insurance policy. But that may not be a wise choice since yearly coverage starts at around $5,000—and remediating an infestation may actually cost less than the policy itself. "You'll probably end up paying more money in premiums than it's worth," says Emma Clark, a home expert from theartofhomerenovations.com. She suggests scrutinizing a house's mold history before buying it, which you should be doing anyway. Act quickly if any water permeates your home from the roof or basement by cleaning up any damp areas within 48 hours. Keep humidity levels around 40% to help limit condensation. If you notice moisture collecting on windows, dry the wet surface and eliminate the source of water. Properly ventilate rooms with high moisture (such as bathrooms) and vent appliances that produce moisture (like the clothes dryer) to the outside when possible. SOURCE: REALTOR.COM - Margaret Heidenry is a writer living in Brooklyn, NY. Her work has appeared in The New York Times Magazine, Vanity Fair, and Boston Magazine.